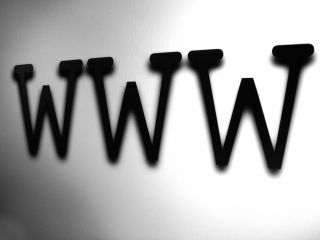 A proposed Italian law has united internet companies and civil liberties groups. Scheduled to be approved next month, the law would make ISPs and sites such as YouTube responsible for monitoring TV content on their sites, as well as for any copyright infringement by users. The law arrives just as Google is fighting a copyright infringement suit against Italian company Mediaset, which happens to be owned by Silvio Berlusconi, the Italian PM. Mediaset is claiming 500 million Euros in damages from YouTube. Paolo Nuti, president of the Italian Internet Providers Association, doesn't believe the law was written specifically to aid Mediaset, but admitted that "as it is written at the moment... the law would certainly help Mediaset in the procedure it has open against Google." Under the new regulations, internet sites would have the same liability as television stations for their content, leaving them open to large fines for violations. Next month the Italian parliament will offer a non-binding opinion to the government. From there, the draft decree will only need approval by the president to become law. Civil liberties group Article 21 claims the new law would "block any possibility of development" in a country which already has one of the lowest rates of ADSL usage in Western Europe. The European Commission might also become involved, possibly opening an investigation to see whether the new decree infringes EU norms. Google, meanwhile, says that the law would affect the company in Italy. The company's senior European public policy counsel, Marco Pancini, said: "The first step is to discuss this with Italian authorities to try to find a solution and we think this is do-able. The next step, if the law stays as it is, is going to be to discuss this with the European authorities."